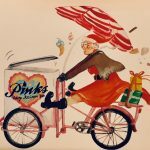 Whilst the happiness and satisfaction of our customers is always the most important barometer of how we are doing here at Pinks Vintage Ice Cream, being an award . 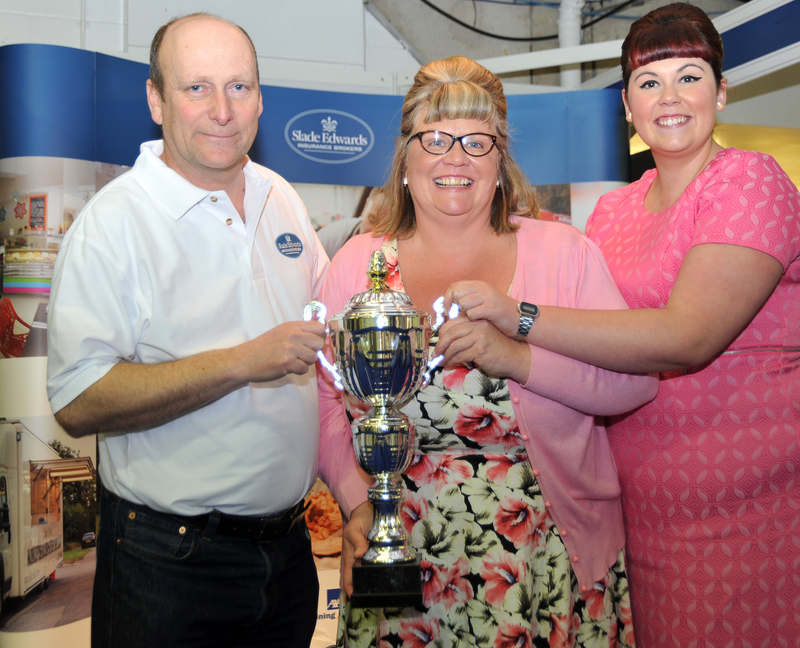 winning ice cream van and wedding supplier is something we’re really proud of too! 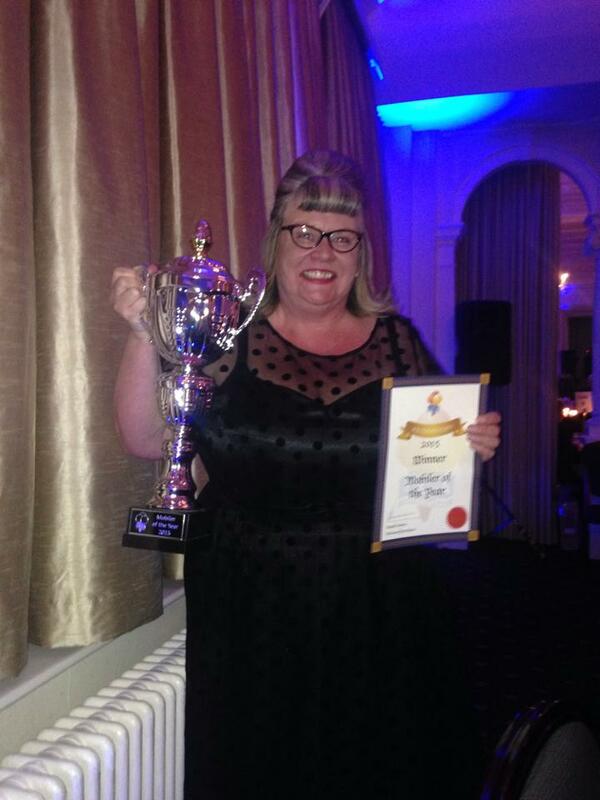 We won our first award back in 2016 when Katy (Mrs Whippy, our founder) won Mobiler Of The Year at the 2015-2016 National Ice Cream Awards. This was a real honour as it is awarded by the Ice Cream Alliance, our industry trade association for ice cream manufacturers and retailers. 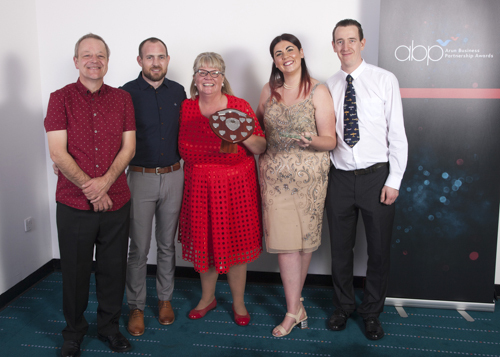 Later in 2016 we were awarded the Marketing & Promotions Award at the Arun Business Partnership Awards. 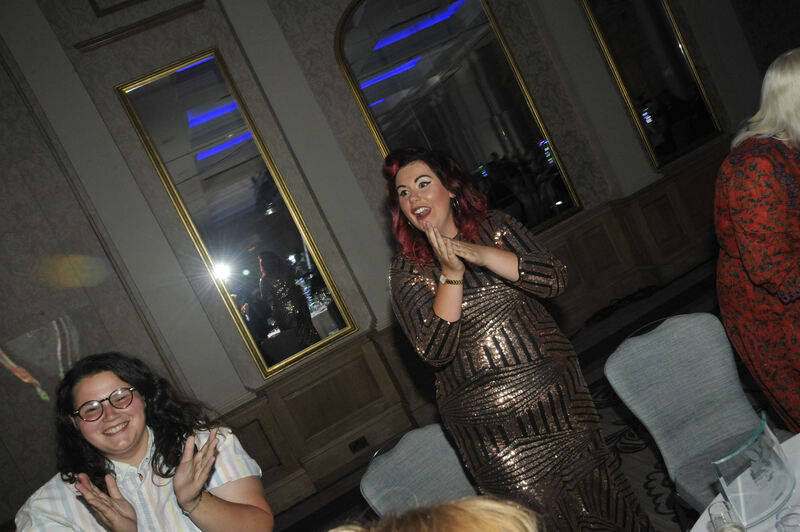 These awards focus on recognition in our local business community and we do a huge amount to support and promote not only our own wedding supplier business but others too. We’re proud to be based in Bognor Regis and part of the Arun district, and this was a real surprise and delight! 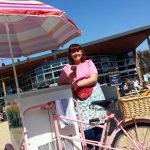 In 2017, Georgia (Little Miss Whippy) came highly commended in the Young Achiever Award at the Chichester Observer Business Awards. Georgia followed in her Mum’s footsteps and joined the business in 2013 as the business development manager. 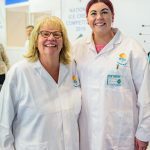 Georgia has put a huge amount of work into growing the business, expanding the fleet and making connections within the local community. It was a real honour to be amongst other brilliant young entrepreneurs in the category, and the hard work she’s put in for such a young business person to be acknowledged. 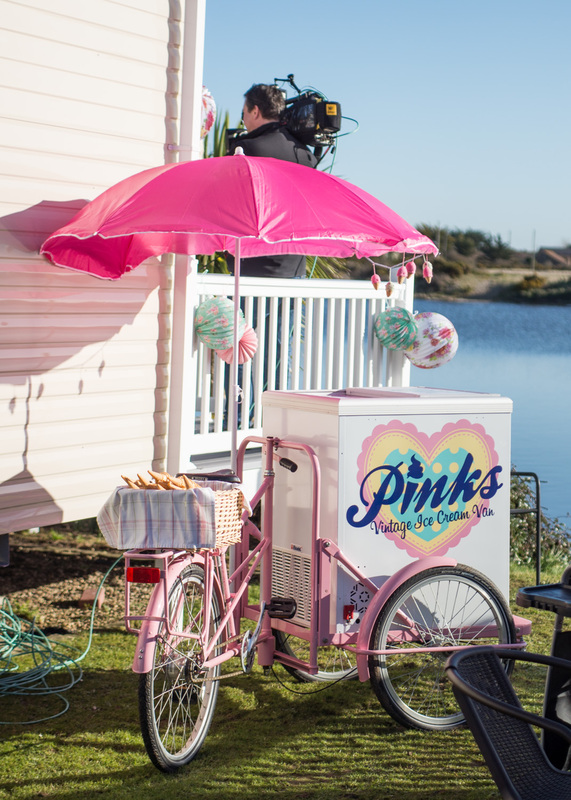 2018 was a brilliant year for Pinks – we had new team members joining the ranks, expanded into Pinks on the Prom and had so many ideas and ventures bubbling away – not to mention all the wonderful weddings our ice cream vans and tricycle have been too! The cherry on the top has been winning not one, but two Customer Service Awards! 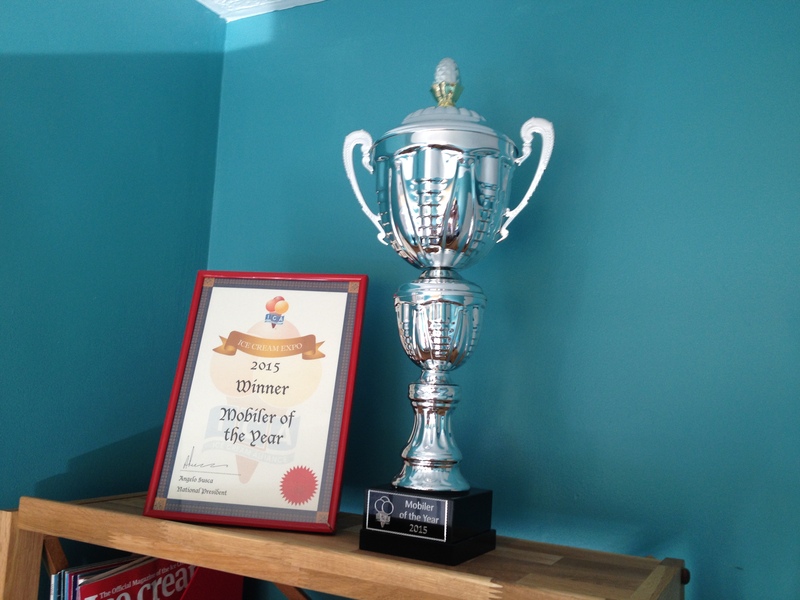 The first from the Chichester Observer Business Awards and the second from JPS Southern Business Awards. 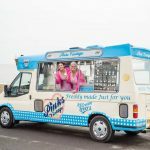 This makes us so proud, as the whole team is involved in making sure our customers are over the moon and get excellent service from start to finish when they hire us as their ice cream van or wedding supplier. 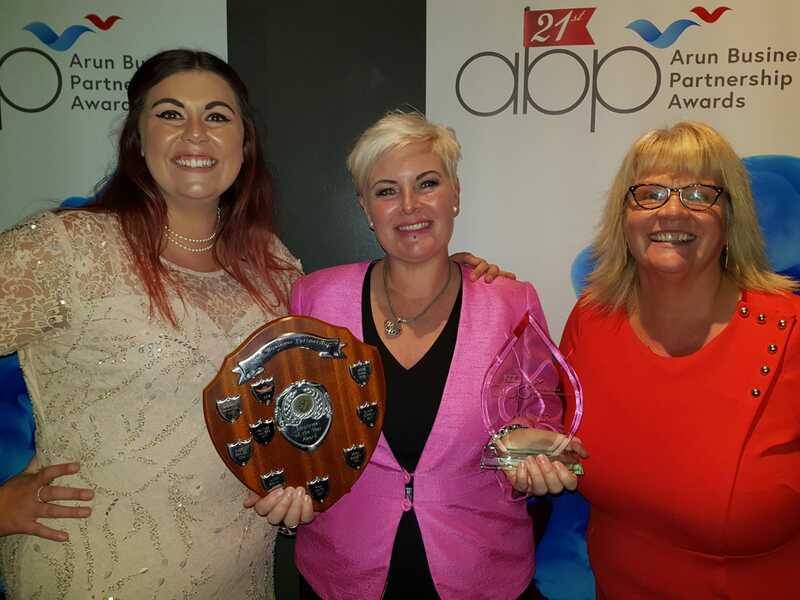 We’re also incredibly proud of Cassy, who won Employee of the Year at the Arun Business Partnership Awards in November. Cassy works incredibly hard and is an invaluable member of the team. She always has a smile for our customers and lives and breaths the Pinks Vintage spirit! 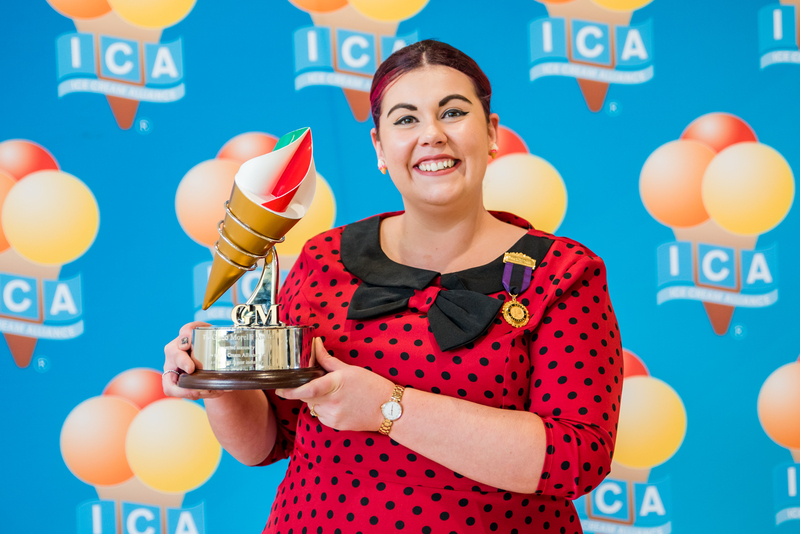 Georgia, aka ‘Little Miss Whippy’ kicked off 2019 with an absolute bang when she scooped the national ‘Guido Morelli Rising Star’ award from the Ice Cream Alliance, the trade body for the UK’s £1bn ice cream industry in February 2019.. The award was given at the President’s Ball and was created in memory of a past president of the ICA, Guido Morelli, of the Alliance’s Northern Ireland division. 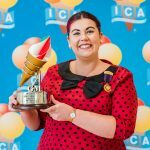 The award honours a young member of the ice cream community who has made an impact within the industry in a short period and shines a light on their achievements. She has definitely done that in bucketloads and we are so so proud of her! 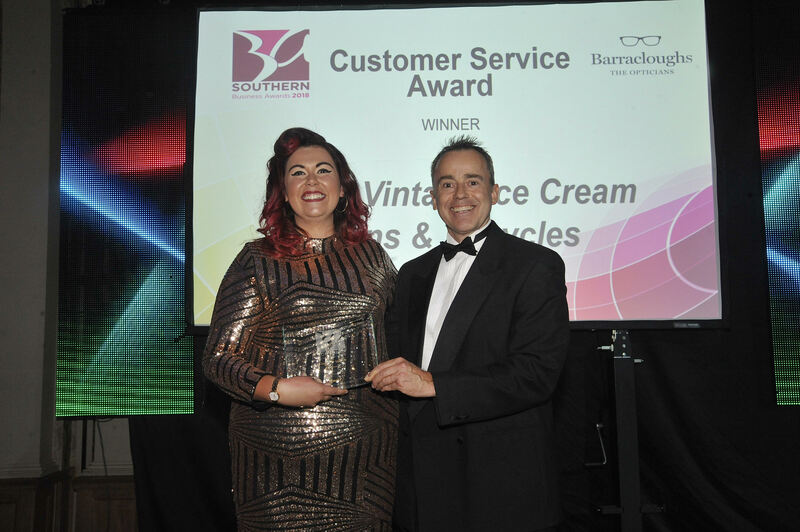 We hope that being an award winning ice cream van and tricycle supplier gives you more confidence in how passionate we are about what we do and that we care deeply about serving delicious ice cream to our customers. We really want you to have the best experience – whether it’s your big day and we’re a sweet treat for your wedding guests or the dessert at your party or event!